No Fee rentals was established in order to provide apartment seekers with up-to-date cost-free access to available apartments that are managed by Jakobson Properties, LLC. Today, our fast user-friendly interface makes finding, viewing, and living in our apartments even easier – For New Yorkers and newcomers alike. We never forget, however that technology is just a tool. We are especially proud of our personalized service and promise to our customers the kind of courtesy and respect they don’t always find in a bustling city. Our potential tenants always see our sunny side – We aim to take the hassle out of apartment hunting. Jakobson Properties, LLC has been operating for more than 130 years and owns more than 50 buildings throughout Manhattan. 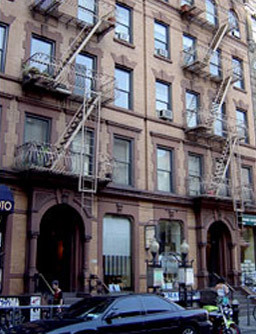 Our leasing office is located in Greenwich Village near New York University, where we have a concentration of apartments. We welcome students, graduates and professionals of all ages who are looking for a well – maintained, well – managed place to call home.